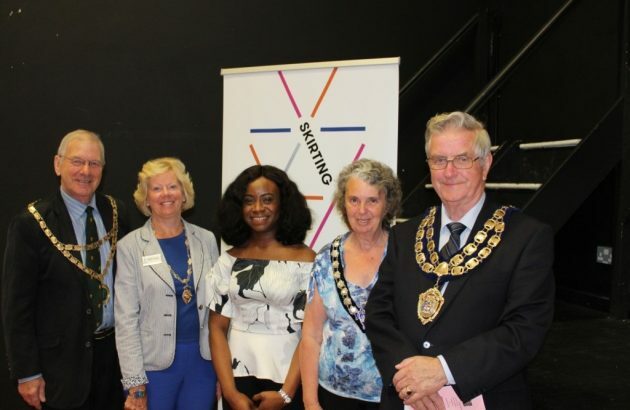 Thousands of children have taken part in Skirting Science over the past decade, as organiser Soroptimist International Weston (SIW) seeks to narrow the gender gap in the field. Dr Ozak Esu is an Electrical Engineer at Cundall, a multi-disciplinary engineering consultancy. Working within Building Services, she undertakes surveys of existing buildings, and engineers coordinated electrical services for new build, refurbishment and fit-out projects. Ozak completed her PhD in 2016 at Loughborough University, in Wind Energy and Advanced Signal Processing whilst working as a Graduate Engineer at Cundall. She continues to involve herself in academia, taking on guest speaking and lecturing roles in different universities. Ozak has taken on roles that promote equality, diversity and inclusion. She has been a panellist for the Association for Black and Minority Ethnic Engineers UK. She has also mentored home and international students at London South Bank University, sharing her experience of the transition from student to engineering professional. Ozak is passionate about sustainable design, agriculture, renewable energy, and international development. She works with schools and organisations in her home country, Nigeria, motivated by the belief that poverty can be eradicated through engineering, knowledge-sharing, and empowerment of women. The 60th session of the Commission on the Status of Women (CSW60) took place at UN headquarters in New York. On March 15th 2016 Margaret Emsley, President of Soroptimist International of Great Britain and Ireland, spoke on the subject “Educate to lead”. She highlighted 3 Soroptimist projects, one of which was Skirting Science. We’ve gone global! Despite many years and much investment to increase gender diversity in engineering, the change is at best incremental and at worst going in the wrong direction. The recent Universities and Colleges Admissions Service (UCAS) figures for undergraduate engineers showed that whilst there are more students overall studying engineering this year, the gender gap has actually increased, and that we continue to encourage our children into careers based on their gender rather than their suitability. This occupational stereotyping is as clear in other sectors as it is in engineering with far fewer boys choosing to work in the caring occupations, arts and languages than girls. Whilst we can continue to make efforts to change this in individual sectors, things will not improve until we make a cultural change to limit gender stereotyping in all areas. Gender parity is about having equality of choice rather than all being equal: we should all be able to choose the colours we wear, the toys we play with, and our future careers based on our individual choice and suitability and irrespective of our gender. This is crucial if we want to close the gender pay gap, which persists because women are encouraged towards jobs in the lower paid end of the careers spectrum, and not encouraged sufficiently to reach the top of their profession. One way of ensuring that we encourage young people into roles equally is to ensure that gender stereotyping does not occurs in schools, and to measure this through Ofsted inspections. Another way is to ensure that we are inclusive in the everyday language that we use, and where this involves changing some of the terms that we have become familiar with to become gender neutral then this is exactly what we should do. Chairman, Fellow, Liveryman, Freeman, Lord Mayor, Master, Alderman – these are all default male terms that are applied even when women hold these positions, and the impression given is that this is an exception rather than the norm for a woman to reach the top of the tree. Traditional or not, these need to change if we are going to make progress in seeing more women in these senior roles. Gender parity is about making things equally accessible to all of us, whatever our gender, and in the longterm this will benefit us all. 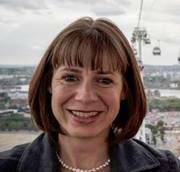 Skirting Science in Weston is fortunate to have engineer Lucy Ackland as our opening speaker on June 23rd 2016 at Broadoak School. Lucy Ackland won the Women’s Engineering Society Prize in 2014. At 13 years old it was suggested that she go on a smallpiece engineering experience weekend and after this she realised she wanted to be an engineer. 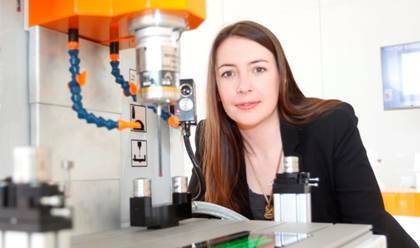 She Joined Renishaw at the age of 16, the company supporting her education with Lucy finally obtaining a first class degree in Mechanical and Manufacturing Engineering. On top of her work, she is also a STEM ambassador, runs technology teardowns, sets and runs activities with local schools. This involves giving talks, running seminars, helping with after school engineering clubs, judging and moderating STEM club projects and volunteering with Young Engineers. An interesting article discussing the need for more entrepreneurial women in science. 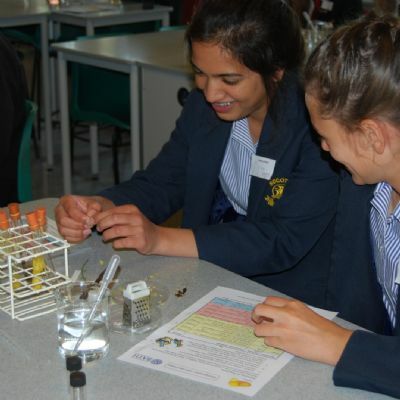 Weston Mercury reported of an event aimed to inspired our future women in engineering. Click here for details of GE Oil and Gas.